Carrie Gleason directs the Fair Workweek Initiative, a collaborative effort anchored by the Center for Popular Democracy (CPD), that brings together grassroots organizations across the country to shift employer practices and win policy solutions that achieve an equitable workweek for today’s workforce. She provides analysis of part-time employment, scheduling trends and the retail sector for national policymakers and media outlets, which have included NPR and the New York Times. Carrie co-founded the Retail Action Project (RAP), a fast-growing organization of retail workers dedicated to improving opportunities and standards in the retail industry. 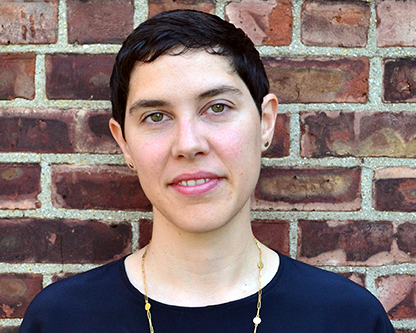 As RAP’s Executive Director from 2010-2014, Carrie oversaw the organization’s base-building and strategic campaigns, research and empowering direct services to grow an industry voice for New York City retail workers. RAP emerged from an innovative community-labor partnership with the Retail, Wholesale and Department Store Union (RWDSU/UFCW) and the Good Old Lower East Side (GOLES) that helped thousands of retail workers in lower Manhattan successfully fight wage theft and discrimination, winning millions in unpaid wages.